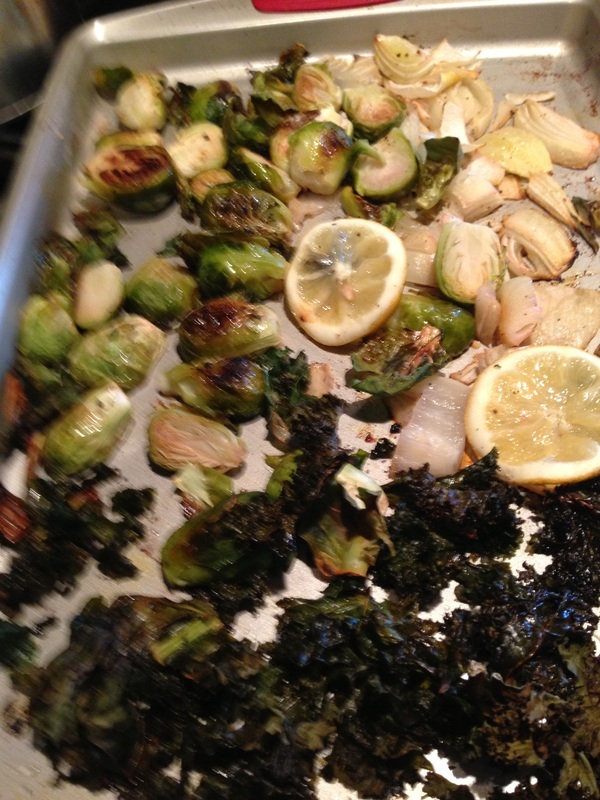 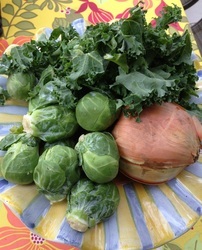 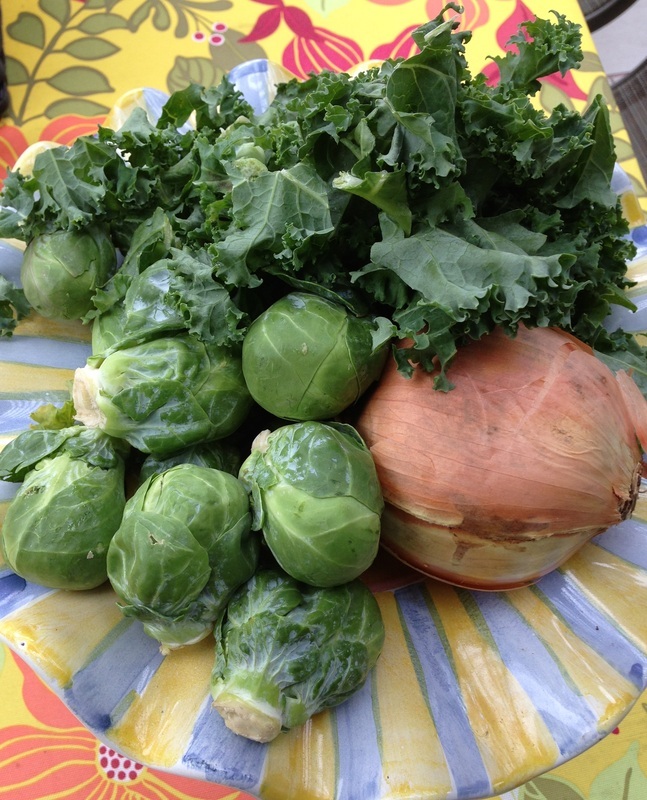 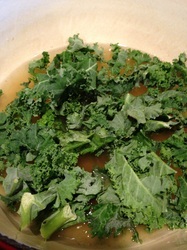 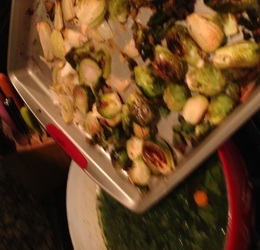 ROAST: In roasting pan add Chopped Onion, Chopped Kale, Brussel Spouts . 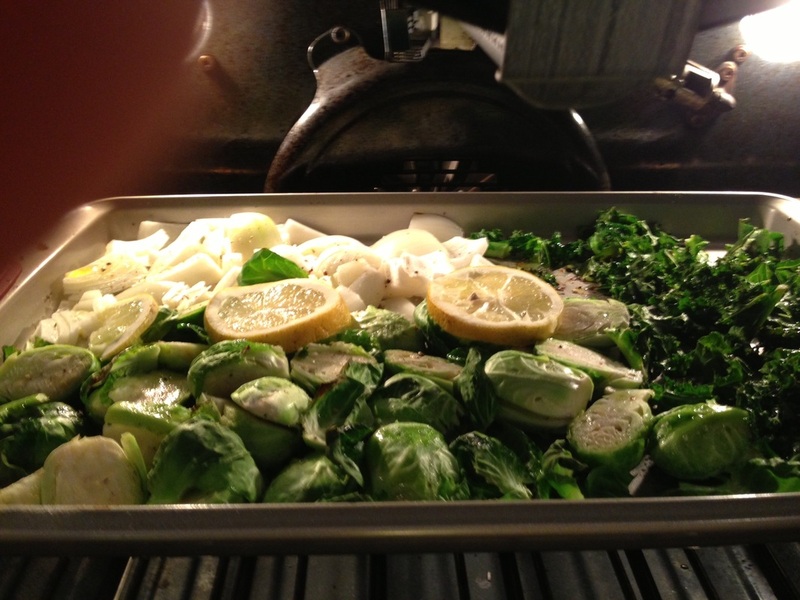 Drizzle with olive oil, salt and pepper and squeezed lemon .Place a few slices of lemons across vegetables. Roast for 30 min at 425. 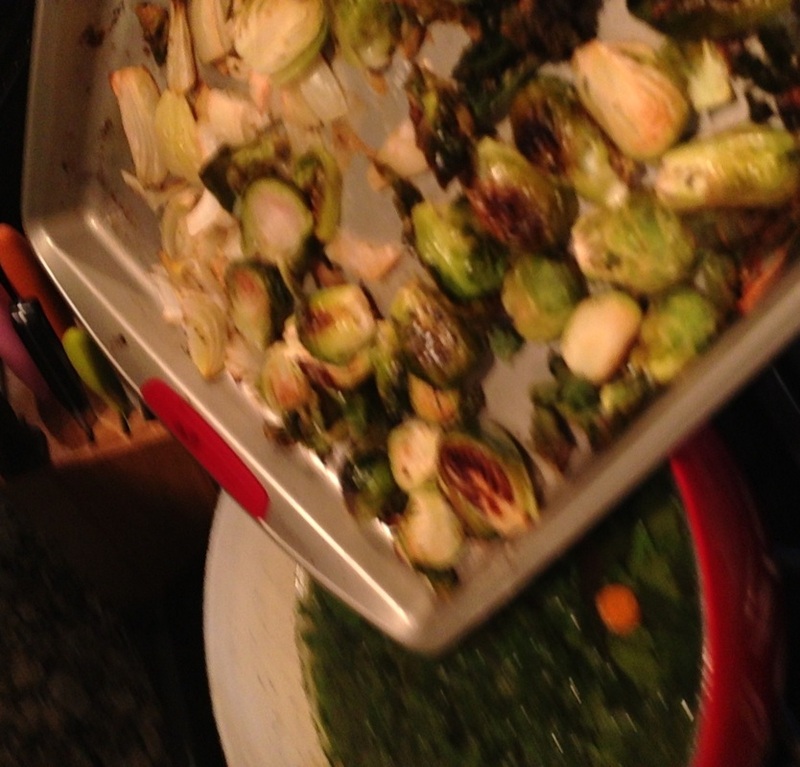 Vegetable will be brown when finished. 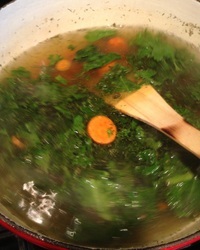 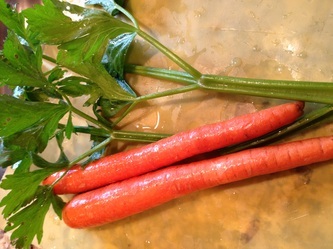 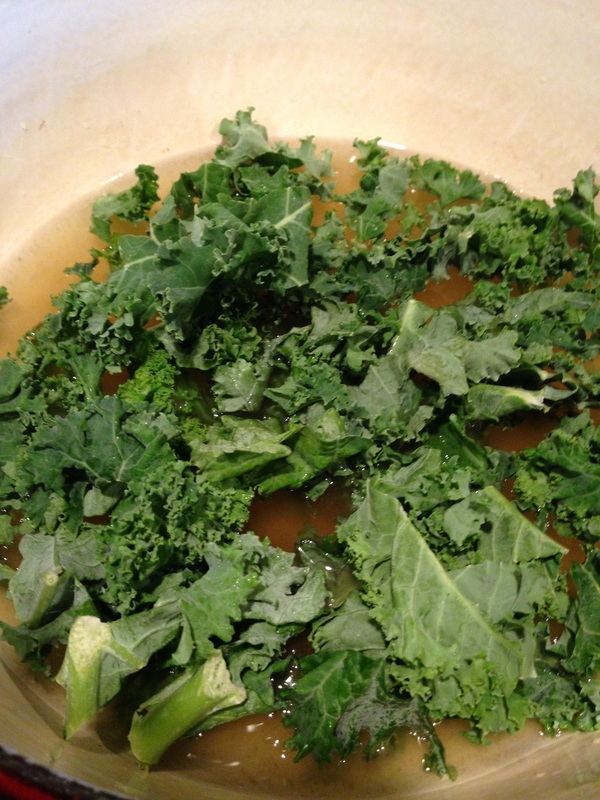 In Soup pot add: Vegetable broth ,remaining 1 cup Kale, 2 sliced carrots, 2 chopped celery including tops, 2 T Dill , 1 T ground Sage, cook until carrots are tender. 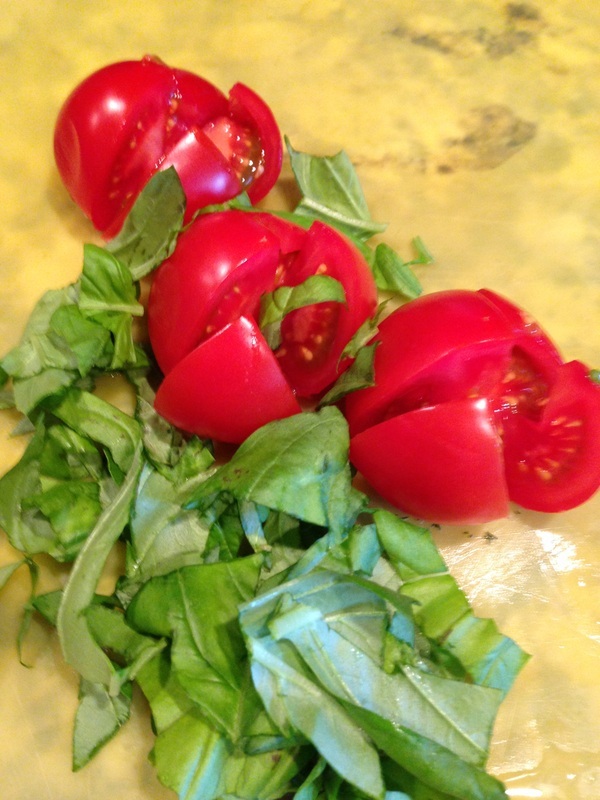 Add roasted vegetables, and chopped tomatoes and fresh basil. Turn soup pot off and leave covered. 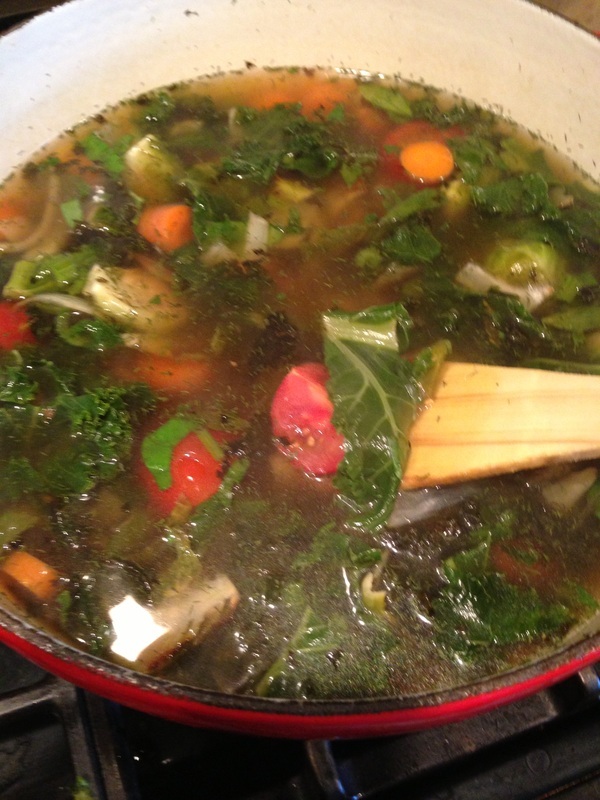 Soup will simmer until tomatoes are married with the rest of the soup. 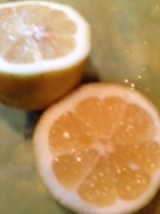 Add fresh lemon to soup and serve. 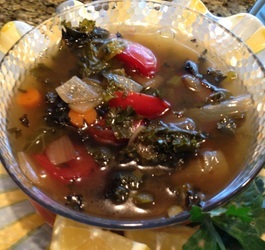 The roasted vegetables combined with the non-roasted vegetables bring interesting flavor to this soup. 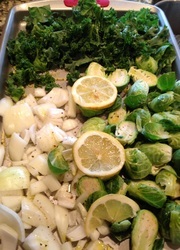 Remember to layer your flavors and have fun in the kitchen!